If emails remain the most popular way of communicating with people, how can law firms ensure that clients appreciate the newsletters you send them? Everyone is inundated with marketing messages, so why are some emails a ‘must-read’, and not others. And how do you guarantee that yours is in the first category? Regardless of industry or practice area, it is possible to create a newsletter that people will want to read. If you imagine it as an example of networking, what would people think of your topics of conversation? You want to come across as knowledgeable and informed, well rounded in an entertaining way, but above all, interested in what the other person has to say. An instagram influencer is going to have different expectations compared with a senior banking regulator. 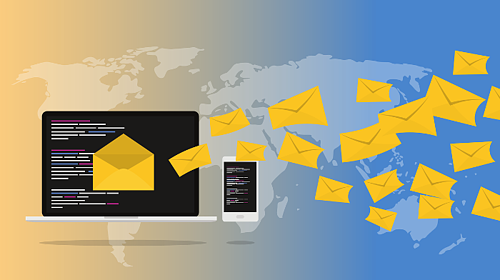 Your newsletter would need to reflect their business - and personal - ethos with a different balance of conversational content. Which individual would want to read commentary about industry news? Or a ‘chatty’ newsletter with emphasis on social events and alumni? The answer may surprise you. Finding the right balance of interesting and informative content in your newsletters and alerts can be tricky. As the quote above makes clear, ‘salesy’ newsletters will bore your client, so information you produce for marketing purposes cannot be just about your firm. It is important you provide content that addresses the needs and interests of others. Will something affect my business? How will items in the news affect my business? Current awareness with expert commentary is the backbone of law firm newsletters. For example, the recent news about Debenhams has wider implications for all kinds of property, retail, and insolvency clients. Show you’re ahead of the game and demonstrate your expertise. And do it in plain English! How will new legislation affect my business? Not all new laws will impact your clients but as legal counsel it’s your job to work with them when it does. For example family and private client practitioners will have been aware of the divorce reform proposals, and will be prepared to speak with affected clients. How can recent industry surveys and trends inform my business? Very often academic institutions, business consultancies or quality newspapers will commission ‘state of an industry’ survey. These contain a lot of useful information and it’s your role as legal adviser to make considered use of this information on behalf of your client. How can my legal adviser entertain and inform me? Newsletters are a perfect way of highlighting events relevant to your contacts list. There is usually an element of learning and information sharing as well as professional networking so make sure your event is in their calendar well in advance. How does my legal adviser make a difference? Your contacts want to know how you give back to the community through charitable events, sponsorship, or fundraising. If it coincides with their interests, clients and contacts will want to know - the perfect opportunity to meet up. How can my legal adviser make me more personally productive? Sharing best practice is an important part of networking, so if you’ve found a way of improving productivity, let your clients and contact know! It could be a great app, something that inspires your team, or a simple “life-hack”. Subject headings: something catchy or keep it serious? Use of graphics: time to move away from stock images and be more creative? Length: attention spans are limited but if you keep it relevant and well designed, it’s a winner! And finally the right call-to-action (CTA) is essential if you want readers to make contact with you. CTAs should be easy to find, well designed, and interest your readers so much that they immediately want to click on it! Ideas include links to a recently published white paper, or to register interest in an event. The conversation I had with my BD contact made it clear that the law firm newsletter has evolved over the past 20 years. We are subject to legal requirements under GDPR and we no longer send out expensive paper newsletters. As a society, we are so used to sophisticated marketing campaigns, that second-rate efforts can be damaging. Organisations owe it to themselves and their clients to be smart with email marketing. It is hard work but if it is done right you are connecting with people in a more meaningful way. An email newsletter isn’t simply an electronic communication. It’s a chance to deepen your and your firm’s connection with your network on a personal level. Use that opportunity to its fullest and reveal the people behind your ‘must-read’ message. The key to a successful law firm newsletter to clients is more than just the right content. Include information that is relevant to the clients’ business, as items that may be interesting on a personal level. Then ensure you present it in the right way and remember to include a meaningful CTA - to have conversations further down the line.